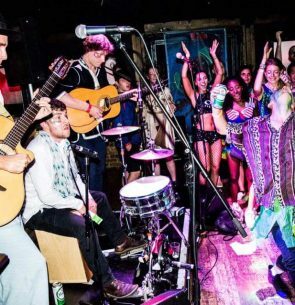 King Cassady, a rag tag band of Jazz Gypsies, are an up-and-coming, bartab-running, come-rain-or-come-sunning trio of troubadours bringing you their own blend of Furious Flamenco, Jumpin' Gypsy Jazz and Boppin' Beats. Having cut their teeth on the streets as buskers and are now carving their way through the London gig and UK festival circuit, King Cassady capture what gets toes tapping and hips shaking. Notable shows include The Southbank Centre, Hootenanny's, Rumpus, The Magic Garden, The Greennote, Stonehenge Festival, Small World Festival and Secret Garden Party. Now this caravan of carnival are swinging into VegfestUK Bristol this May! Roll Up Your Sleeves And Let Down Your Hair!! Live!! King Cassady For Your Pleasure And Delectation!! 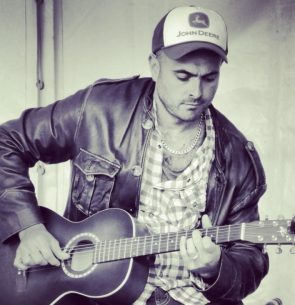 Samuel Silas Whitlock is a singer/songwriter from Bristol UK. In October 2016 he released his debut EP ‘Darker Shade Of Blue’, an original take on Americana and Alt-Folk. An eclectic mix of musicians from the Bristol music scene add extra instrumentation to the EP, supporting Samuel’s vocals and guitars with banjo, fiddle, bass, drums and vocal harmony. 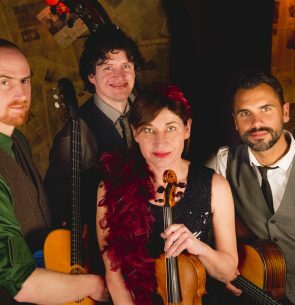 Conjuring up the mood of 1930s Paris, fused with the energy of a campfire jam session, The Schmoozenbergs bring bouncy rhythms, jaunty melodies and their own little bit of special sauce to create an irresistibly upbeat gypsy jazz sound. Two duelling guitars, a violin and a double bass come together to make a lively show full of catchy tunes, intricate musical interplay and playful improvisation. Since forming in 2012, this Bristol based band have been delighting audiences far and wide…from festivals (including Glastonbury, Green Man, Shambala), to neighbourhood bars, from arts centres to street corners. Their timeless music is guaranteed to put a smile on your face and a spring in your step. Bollywood embodies colour, energy and drama! Originally from the land of Bollywood, Mumbai India I specialise in Bollywood, Indian Classical - Bharatnatyam, folk dances Garba (Gujarat), Bhangra (Punjab) and Salsa. India is known for it's diversity and we aim to bring the most of it in our performance, making it a blockbuster experience for our audience. With our dazzling costumes, electrifying music and wide variety of Bollywood and regional dance forms, we will show you India in all its colour and variety! 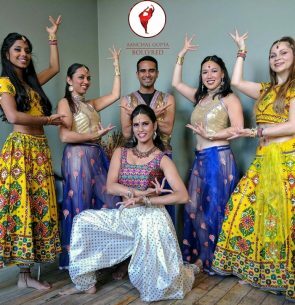 BollyRed has been sharing the love and energy of Indian dance styles for the past 2 years. We have performed in multiple events and festivals all over the UK including Bristol Pride, Tribe of Doris, Diwali Celebration at Trafalgar Square, Yate International Festival, Tobacco Factory and many more. Propagating the energy to the audience, we love it when every member in the audience learns a couple of Bollywood steps with us. We will be there at Bristol VegFest 2018 bringing a lot of fun and peppy dance steps to you ! Barney Newman is an exciting country blues and roots songwriter and musician from Oxfordshire who has been touring the UK for 20 years. 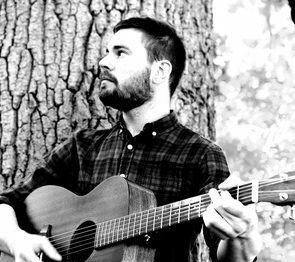 Barney’s authentic Guitar, Banjo and vocal style produces an infectious up-tempo sound that has seen him get booked to play many festivals including The New Forest Folk Festival alongside “Show of Hands” and “Pentangle”. Barney occasionally invites guest musicians, Tom Leary on Violin and Matt Watson on Double Bass, to perform alongside him at events and festivals. “Hugely entertaining….three guys who just light up a room…. 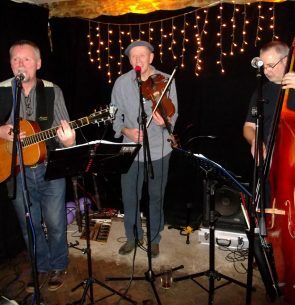 Dr Zebo's Wheezy Club is an acoustic trio of guitar, fiddle and double bass, based in Wiltshire and the Bath area, playing good-time, foot-stomping, swingy, jazzy, folky stuff . 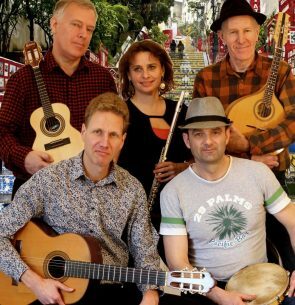 Dr Zebo music includes elements of 1920s/30s/40s jazz songs sung in close harmony, with original folky tunes by members of the band, together with quotes from well-known TV and film music - often played in a tongue-in-cheek way. One minute you are in the 1930s with an old Ellington, Fletcher Henderson or Stuff Smith number and then you are listening to a Bob Wills fiddle tune (there may have been a Tom Waits' song squeezed in between)! Overall, this bizarre, funny and quirky kaleidoscope of music is very difficult to get across in a 20 sec video or audio clip. You have to experience it in the flesh! It’s all very jolly and guaranteed to keep everyone on their toes. The band consists of Simon Taylor - guitar and vocals, Mike Fossett - fiddle and vocals and Ralf Dorrell - double bass. With a combined performance record of greater than 120 years, there is no lack of experience! Simon and Mike go back a long way, having grown up together in Filton, Bristol. Both play together in the well-established pub and ceilidh band The Electric Lobsters who have been together for over 30 years and are still banging it out! Mike also plays in the Prog/Rock outfit, BlueDog. Ralf is very active on the South West music scene as a composer, performer (double bass, bass guitar and trombone), bandleader, ensemble director, lecturer, teacher and workshop tutor. He has been leading workshops on improvisation, composition and jazz since 1984. His compositions have been performed on BBC Radio 3 and at venues including the Purcell Rooms, South Bank, London and St George’s, Brandon Hill, Bristol. 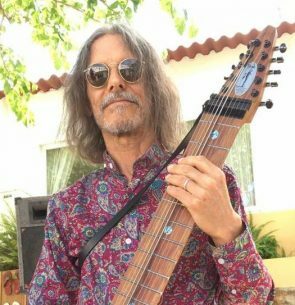 Vegan for over 27 years, Andy Prince performs melodic neo-classical compositions on the Chapman Stick which is tuned to the healing frequency of A=432Hz. His music is meditative, healing and passionate, and his performances are enthralling, atmospheric and moving. Andy has released one beautiful album, “Band of Rain” and has recently been compiling material for a follow-up. His music has often been used to accompany meditation, yoga and alternative therapies and is perfect for creating a relaxed atmosphere.